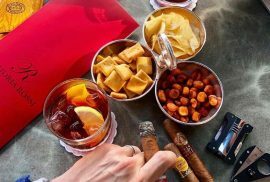 When it comes to Cigar Pairings there are many trends or directions to follow. 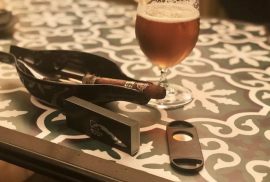 You may want to enhance certain aspects of the cigar with the drink. In other cases you may want to reach a point in between, respecting the characteristics and qualities from both and lastly, you may prefer to limit or control certain flavours with the chosen pairing. As we always say, “Where” and “When” matters. For the Paraiso 2014 we decided to go to a classic old fashioned restaurant in Madrid. It is called “El Asador Donostiarra”. The space has been renewed not long ago and now it looks like a wooden house in the mountains. At the same time you can feel the modern luxury in every single detail. The place is known to be the celebration spot for many football players from Real Madrid and Atletico de Madrid, the local teams from the city. When? It was a Tuesday for lunch time, around 2PM. Feels good to have a small getaway on a Tuesday and enjoy such things. It makes your week much easier and pleasant. We had some starters like shrimps, green asparagus, Spanish ham and cheese. Then the main course arrived. A nice steak with red peppers. We had one of the best house wines we’ve ever discovered. It was time for the sweet part to come up! I must admit I wasn’t going to pair the cigar with any specific drink. The cigar itself suggested me, through its bitter first draw, that I needed to pair it with something sweet. It’s amazing how demanding these cigars are. In Spain, like in many other places, it is very common to drink Baileys (Marc cream or “Crema de Orujo” in Spanish). I personally enjoy it because of its sweetness and texture. I believe it’s the perfect drink after a long lunch or dinner. But in this case I really wanted to see how the sweetness of the cream would fit and combine with the bitter first draws of the Paraiso 2014. It was simply fantastic. I could feel how the cream was calming the bitterness without making it disappear. They got mixed in a perfect balanced flavour at the back of my palate. Then thanks to the cream, that well balanced flavour ended up conquering every part of sense of taste. The cigar was burning perfectly. I didn’t need to light it again. The smoke was dense and heavy and stayed with us for a while. But things unexpectedly changed. 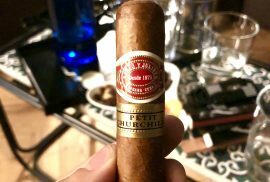 The cigar started to be super sweet which led my smoking experience to a new perspective I wasn’t looking for at the beginning. Remember what I said at the beginning of this review about the options to follow? I chose a cigar that develops like none that I have ever smoked before. I ended up following 2 different directions smoking the same cigar. During this second third everything was very sweet and soft. It was my dessert. I drank a bit of water to make sure my taste wasn’t confused. But after washing my mouth, the same sweetness perdured. The ash was almost burning the bands. La Gloria Cubana Paraiso 2014 is a Regional Edition Caribe so it has 2 bands (Brand and Edition). I personally don’t like to remove them very soon. This is because when the cigar gets hot my hands start to sweat and I don’t like to make the cigar more humid. But at this point I had to remove the Regional band and keep the other. 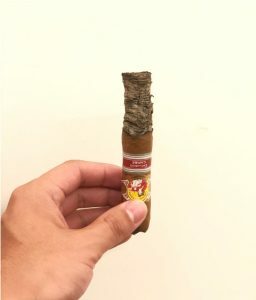 In the last third, the bitterness showed up again, which is something to be expected from every cigar. The last part is the strongest, the hottest and where the elements that define the flavour get united and condensed. I enjoyed this part without drinking too much. I really wanted to feel the bitterness before ending it up with the final sip after the final drag. The last 2cm from La Gloria Cubana that didn’t become ash, went straight to the bottom of the ashtray. It was a very fun and surprising smoke. I didn’t expect La Gloria Cubana Paraiso 2014 to develop that much and to demand sweetness. Right after the end I ordered a Whiskey and I instantly knew that it wouldn’t have paired as good as the Baileys. 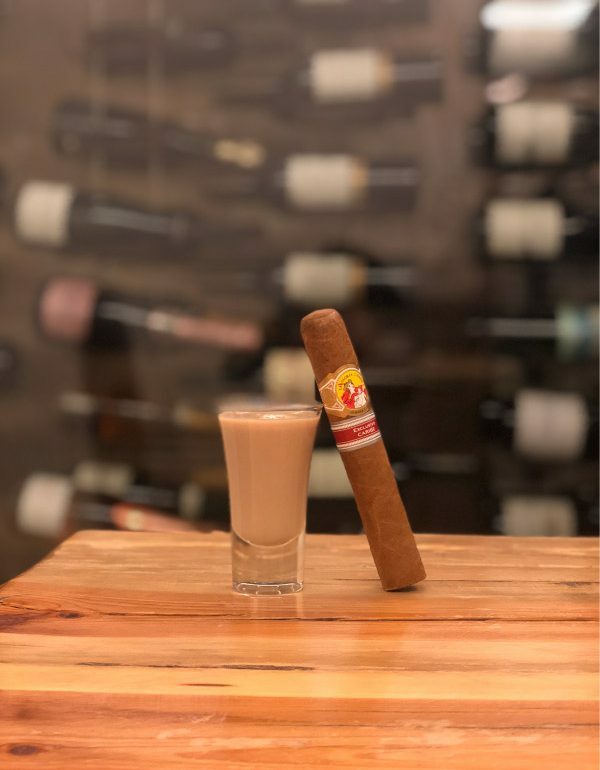 I definitely recommend you to get one of these La Gloria Cubana Paraiso 2014 Regional Edition Caribe through this link and pair it with something that can be as good as my choice. Thank you very much for reading this post. If you have tried a pairing with the Paraiso 2014, let us know in the comments section below!